Since joining the real estate industry in 2004, Jason Rainsford has been making sure all his clients enjoy the process of selling or buying their home. As a Licensed Auctioneer with a reputation for honesty and reliability combined with excellent negotiation skills, Jason is known for his courteous and straight forward approach, he ensures the marketing process progresses at his clients' preferred pace, whilst keeping in line with market movements and making the most of the opportunities on offer, selling properties for a premium value. 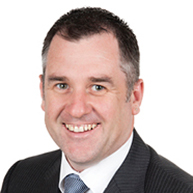 Jason's passion and enthusiasm for real estate is evident in his approach at REIWA Training. He is passionate about sharing his knowledge and experience and improving the professionalism within the industry. His mantra is "Tackle everything with PMA (positive, mental, attitude)". He believes there is never a problem, only solutions.